Price: €1,825.00 VAT included. Shipping not included. Madagascar Rosewood back & sides with sitka spruce top & Indonesian rosewood neck. Comes with hard shell A Style shaped case. Top: Sitka Spruce with a slight curve induced by the bracing. Neck: Indonesian Rosewood ; Fingerboard & Peghead: Ebony. Tuners: Schaller. Gold. Tailpiece: Solid Cast "Allen" style Gold. I recently purchased one of a new line of mandolins from Clareen. Clareen is a small shop (4-6 people I think) in Galway, Ireland and is the top of the heap for newly made tenor banjos for Irish traditional music. 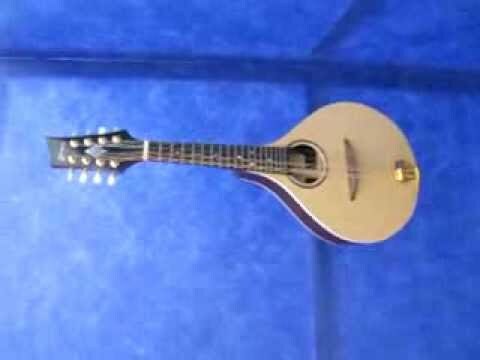 They recently started making mandolins for the same market and I really like the one I got.